Acts on dark circles, puffiness and wrinkles. 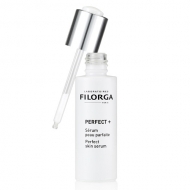 DESCRIPTION: Filorga Optim-Eyes Contour des Yeux by Filorga is a triple action care for the eye contour. 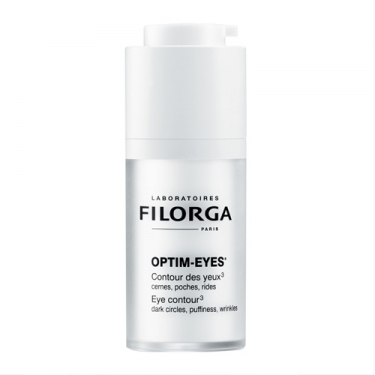 Formulated with the NCTF and Eyeliss complexes, and enriched with Hyaluronic acid, improves the tissue firmness, smoothes wrinkles and intensely reduces the puffiness and color of dark circles. Test performed by 57 women, used daily for 4 weeks. Apply morning and evening to the eye contour with gentle strokes. Try to keep it on the fridge to maximize the lifting effect.